JENI FENG has been practicing Chinese calligraphy for more than twenty-five years, and has ten years calligraphy teaching experience for children. She got her master degree in art major in 2009, China. She is the member of Chinese Calligraphers’ Association (the highest level of calligrapher’s organization in China). She has worked in all of the five major scripts of Chinese calligraphy, and her favorite ones are official script and regular script. 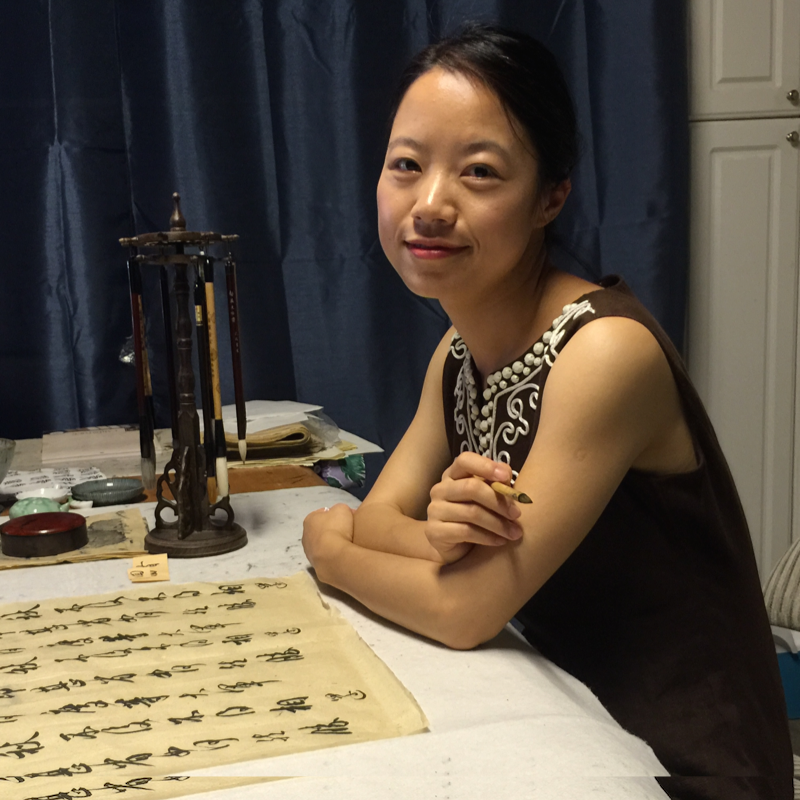 Now residing in south bay area, as a Chinese Calligraphy teacher, Jin is active in local and regional art associations. She established a non-profit organization, Huafeng Calligraphy Association, in 2010 to ally the art of Chinese calligraphy by fostering high standards, extending appreciation. She also teaches calligraphy to children and adults. Her students were the champions in different groups of “Chinese Star” calligraphy contest, organized by Confucius Institute at San Francisco State University, in both 2014 and 2015.